Home / Cleat Geeks / Will The Bucs Be Blown Away In A Windy City Match-up? Will The Bucs Be Blown Away In A Windy City Match-up? 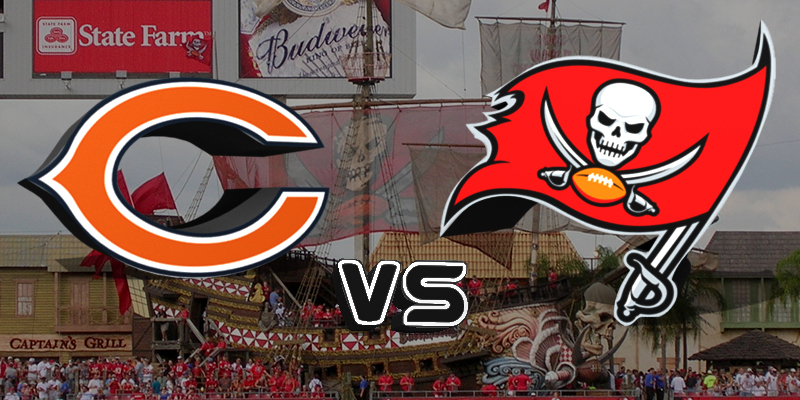 The 2-1 Tampa Bay Buccaneers travel to take on their former NFC North rivals Chicago Bears. Tampa Bay has a quick turnaround after battling the Pittsburgh Steelers in a Monday night loss 30-27. The 2-1 Bears lead the all-time series between the teams 38-20. However, Tampa has won the last two contests between the teams in 2017 and 2016. Tampa’s offensive line will have their hands full after allowing 3 Pittsburgh sacks and constant pressure on Ryan Fitzpatrick. The Bears come in leading the league in sacks with 14 sacks lead by pass rushing specialists Khalil Mack and Leonard Floyd. Buccaneer Tackles Donovan Smith and Demar Dotson will be in for a long day if they are unable to stop Floyd and Mack. Tampa will need to get the run game going. Tampa goes into Week 4 ranked 30th in the league in rushing. Tampa lead back Peyton Barber is averaging just 2.9 yards per carry. The other half of the offense continues to click as Tampa continues to lead the league in passing following another 400 yard performance by Ryan Fitzpatrick. Fitzpatrick now owns the record for most consecutive 400 yard passing games with three. Another record set Monday was most receiving touchdowns (35) in Tampa Bay history which was achieved by Mike Evans passing Jimmie Giles. Tampa Bay will also be without starting safety Chris Conte as he joins Vernon Hargreaves on injured reserve following an injury to his knee. 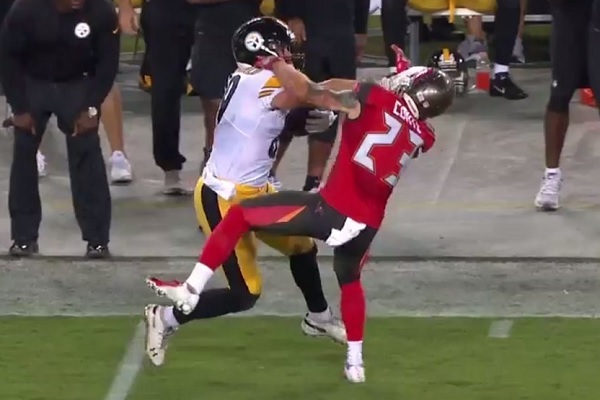 If that name sounds familiar, he was the victim of a “get out the club” stiff arm by Pittsburgh tight end Vance McDonald which was taken for a 75 yard touchdown. The starting job will be turned over to rookie Jordan Whitehead. Whitehead was described by defensive coordinator Mike Smith as a” heat-seeking missile” in terms of going after the ball. Whitehead’s counterpart at safety Justin Evans continues to impress after interception Monday on a route he jumped on Big Ben. Jameis Winston is back from suspension and Dirk Koetter has yet to comment on who the starting quarterback will be Sunday against the Bears. Fitzpatrick was red-hot coming in Monday night’s game. Fitzpatrick struggled due to constant pressure applied to him which resulted in 3 turnovers in just the first half of the game. Fitzpatrick was pressured on over 40% of his throws. One of those turnovers was a costly interception in the red zone. Another was an interception which was returned for a Steeler touchdown. Fitzpatrick returned from halftime with a new fire which resulted in 17 unanswered points including touchdowns to Mike Evans and Chris Godwin. I suspect Koetter will roll out Fitzpatrick Sunday and re-evaluate the position during Week 5 which will be Tampa Bay’s bye week. Tampa needs the win to maintain top position atop the NFC South. A 3-1 record going into the bye week will have energized a Tampa Bay fan base that hasn’t been there in many years. GO BUCS! If you want to watch the next player play in the Meet the Bucs segment, you’re going to have to wait till the 2019 season. Cornerback Vernon Hargreaves 2018 season ended abruptly after a shoulder injury against New Orleans in week 1. Hargreaves was taken with the 11th pick in the 2016 NFL Draft. The former Florida Gator was a two time first team All-American and also a three time first team All-SEC. 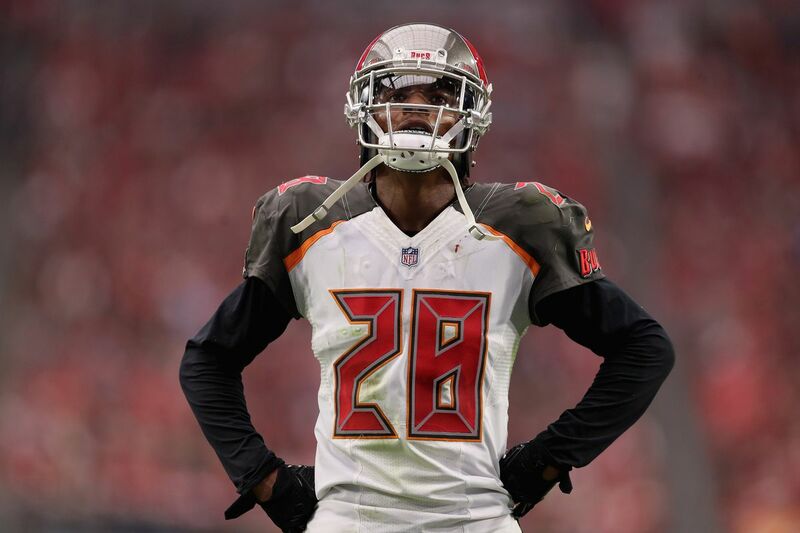 After a rough 2017 season, Hargreaves started off 2018 season with seven tackles, one pass deflection and forced a fumble that was recovered and returned for a Tampa Bay touchdown. Follow me on Twitter @dynastydadmike for all things Tampa Bay and fantasy football advice. Also please follow @cleatgeeks for all things football. Next Story → Tennessee Titans: Recap of Week 3 & Preview Of Week 4.